Legs – When tracks of liquid appear on the glass after swirling, these are called legs. Wines that have legs usually have higher alcohol content. Oaky – Describing a wine as oaky means it has a woody flavour, which can also include notes of vanilla, nutmeg or a smoky taste. Tannic – Tannins are a main element of red wine and create a dry, bitter taste. If a wine causes you to pucker your mouth, you can describe it as tannic. Complex – A complex wine has many facets of taste and smell. If the flavour of a wine changes while tasting it (i.e. starts off fruity and ends oaky) it is a complex wine. Big – If a wine is powerful with intense flavour, proclaim it as big! You should note that these wines usually have high alcohol content. Avoid wearing strong perfumes or colognes – They will interfere with the aroma of the wine and compromise the tasting process. Swirl, sniff and swish – Swirl your glass to allow oxygen to mix with the wine and let the aroma open up, then take a whiff and note the fragrance. Try a sip and swish the wine in your mouth before swallowing to expose the wine to all your taste buds. Cleanse your palate – Have a sip of water or a cracker between wines to reset your taste buds. 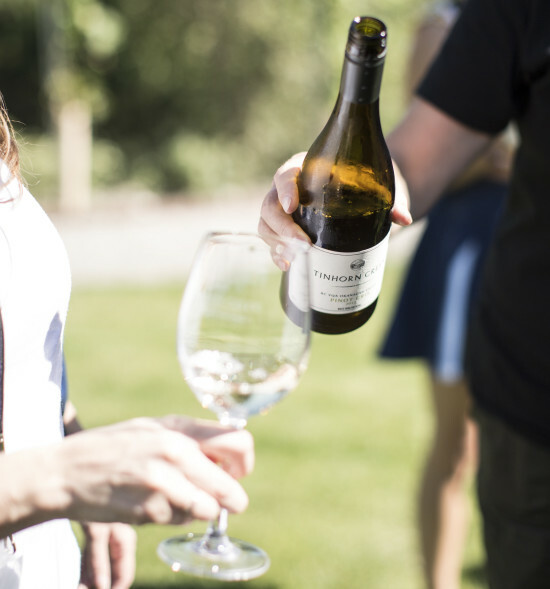 Don’t be afraid to share your opinion – Your thoughts on a wine may differ from others around you but there is no right or wrong opinion; it’s a matter of personal preference. It’s difficult not to over-indulge when you are surrounded by copious amounts of wine. Here’s how to taste wine freely without the fear of tomorrow’s wine-hangover looming over your head. Remember to eat – Wine tasting on an empty stomach will not only upset your belly but also have you feeling tipsy faster than you can say Gewürztraminer. Stay hydrated – For every sample you taste, drink the same equivalent of water. It’s important to stay hydrated to avoid a pounding headache the next day. Be strategic and spit – You don’t need to drink every sample you taste – the idea behind tastings is to develop your wine knowledge and flavour profiles. A spit cup or bucket is there for your benefit.